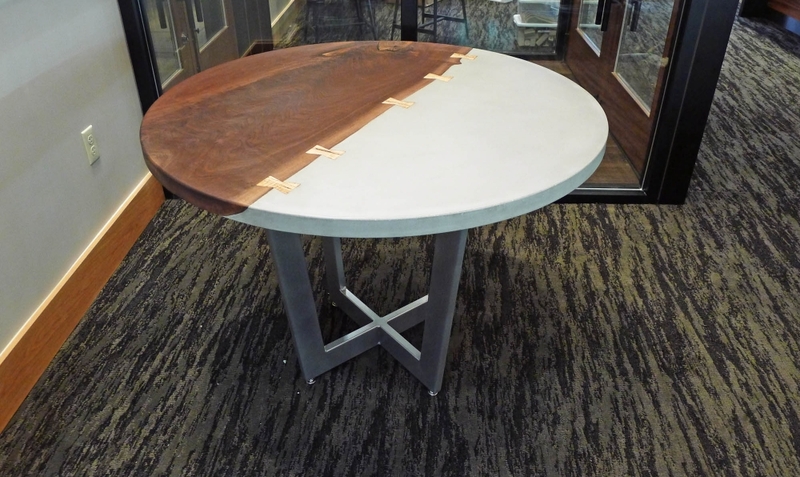 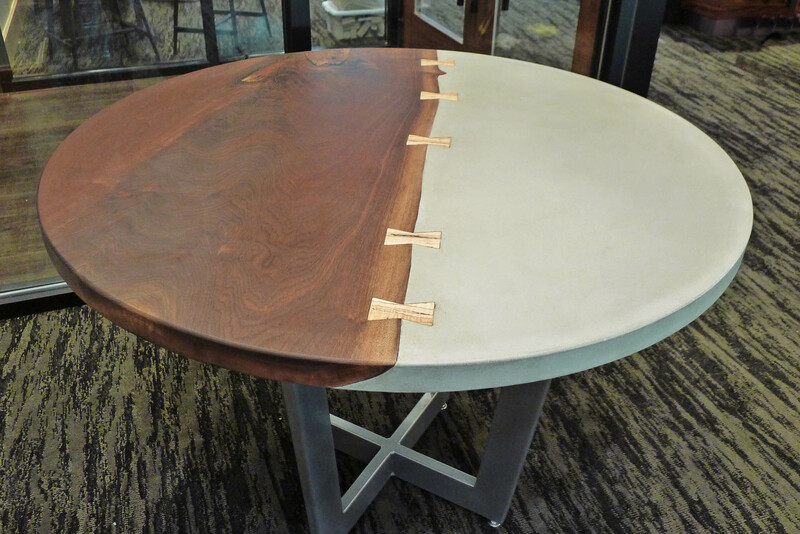 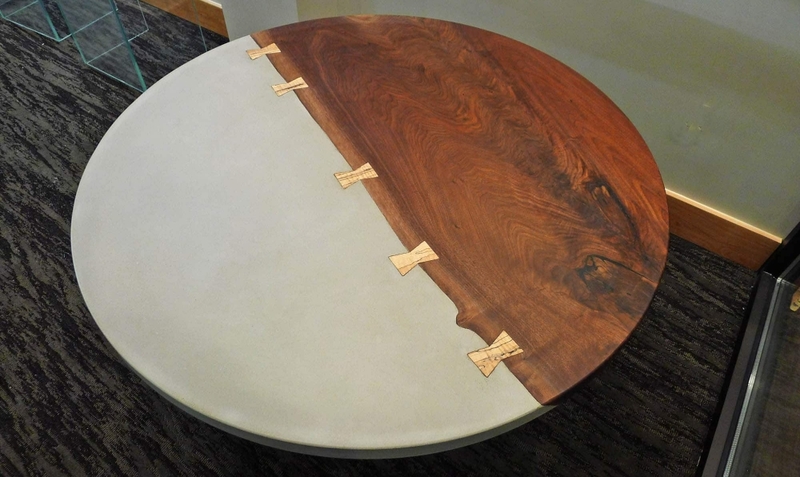 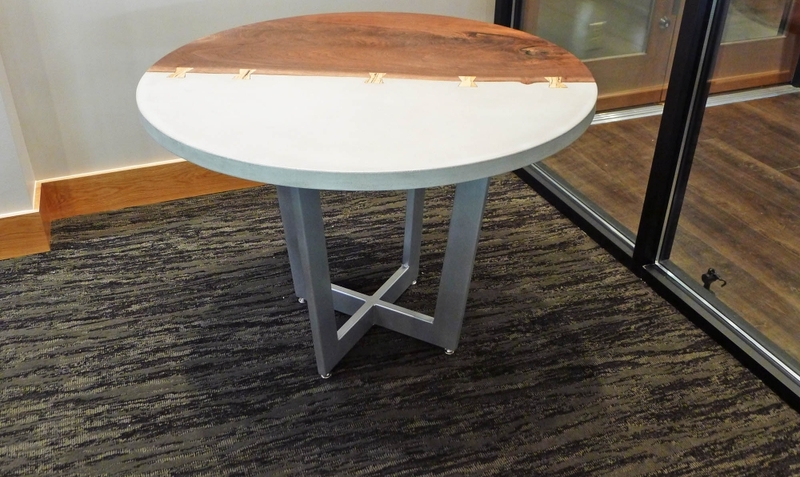 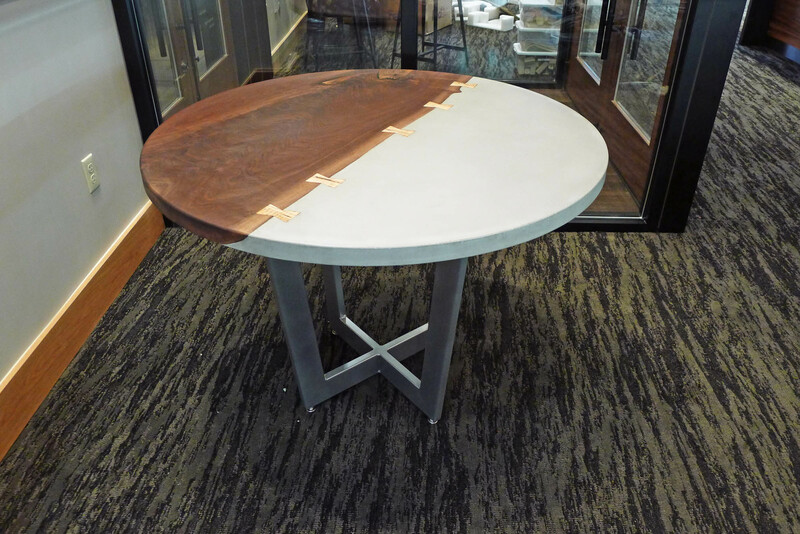 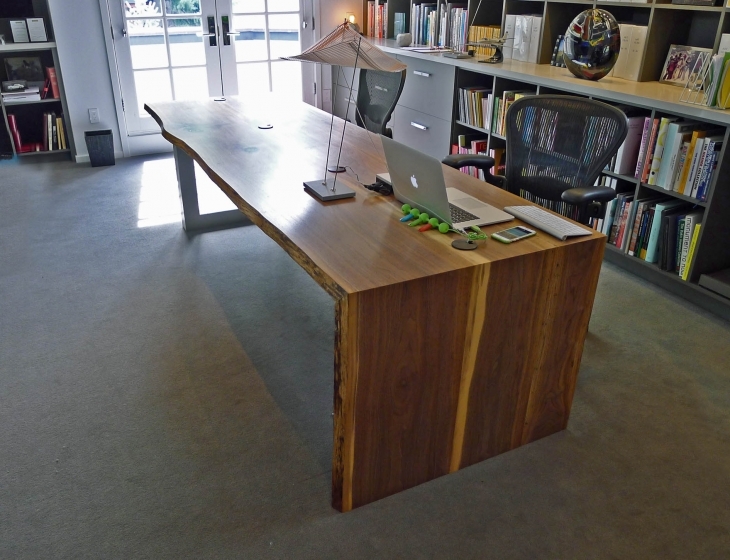 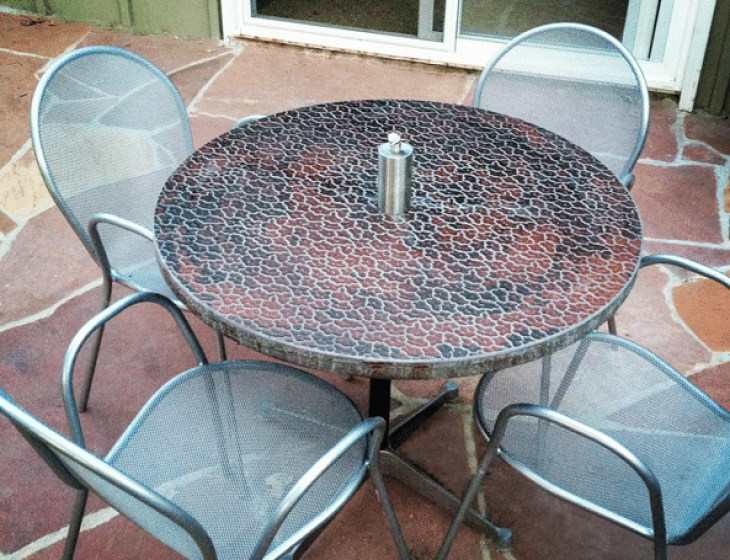 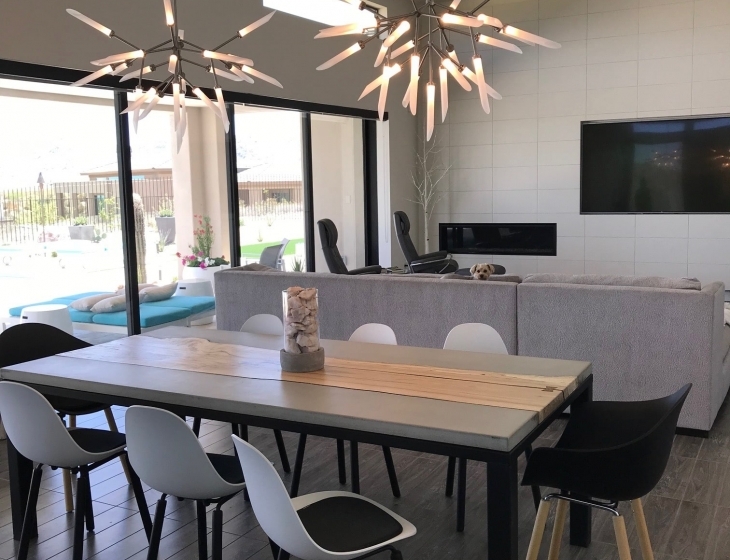 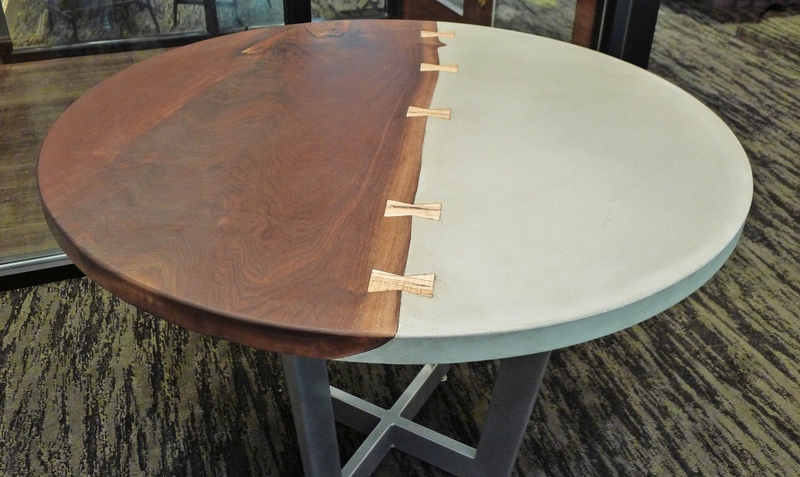 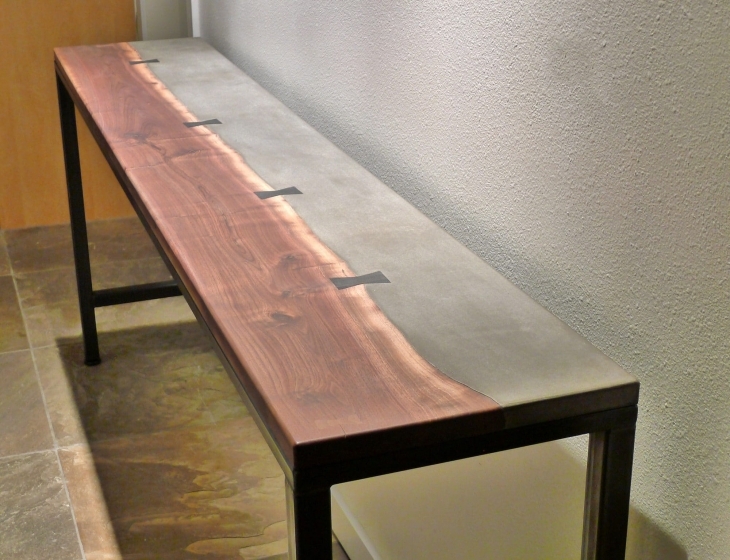 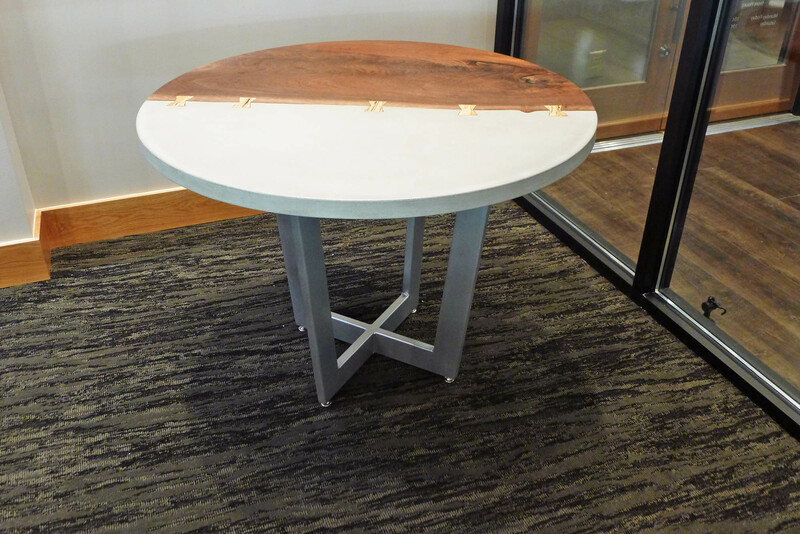 40″ diameter concrete and black walnut display table for Walters and Hogsett jewelers in Boulder, CO. 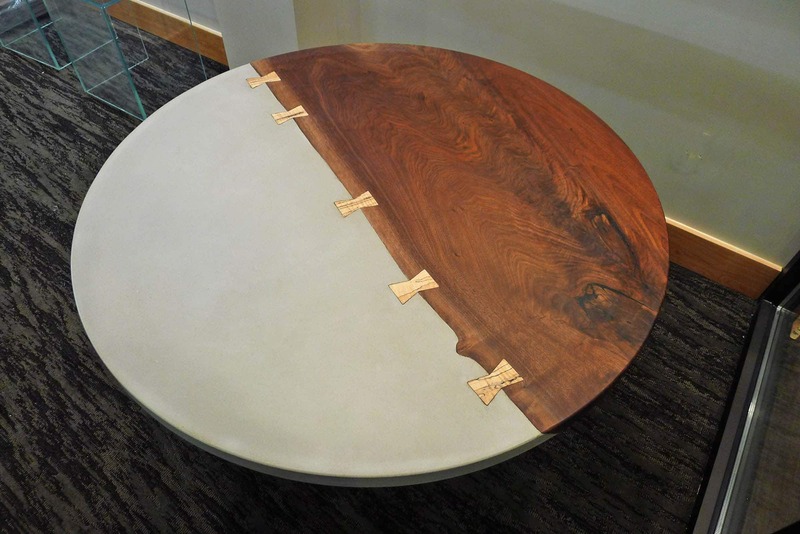 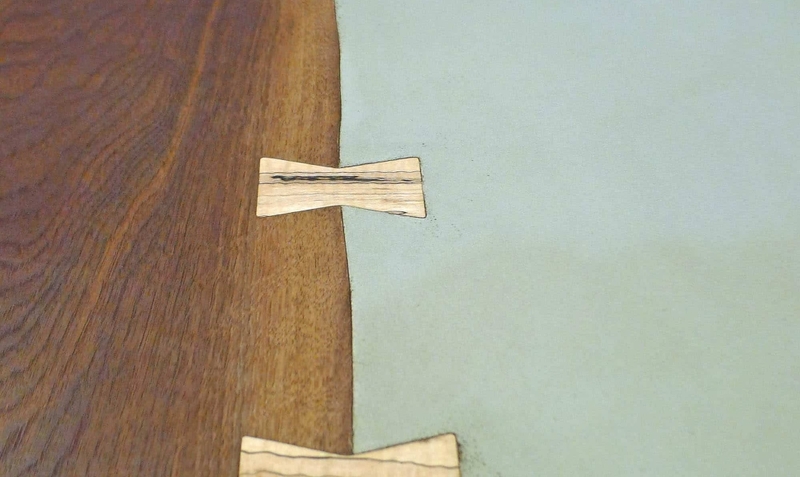 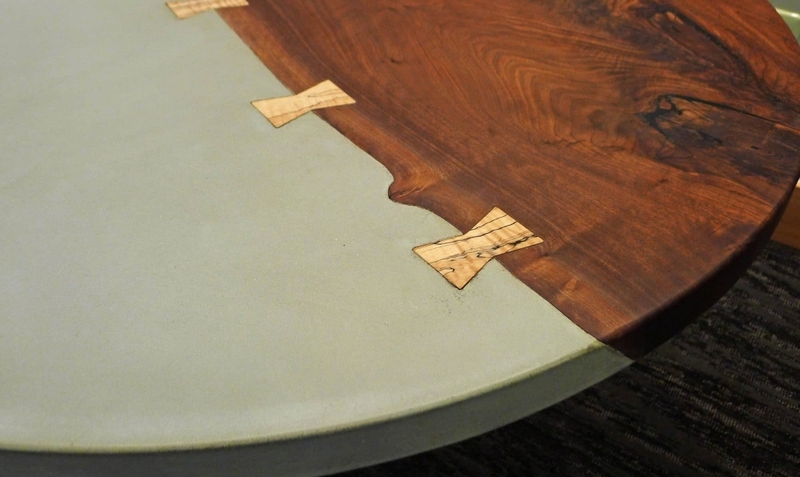 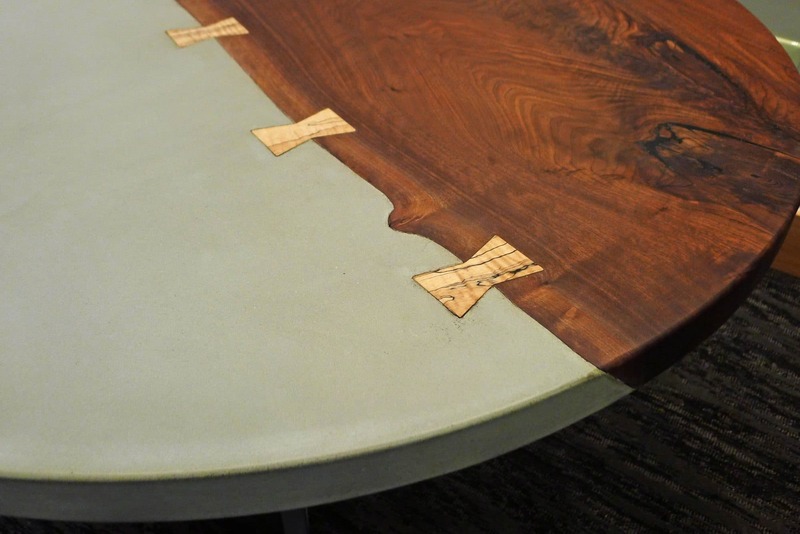 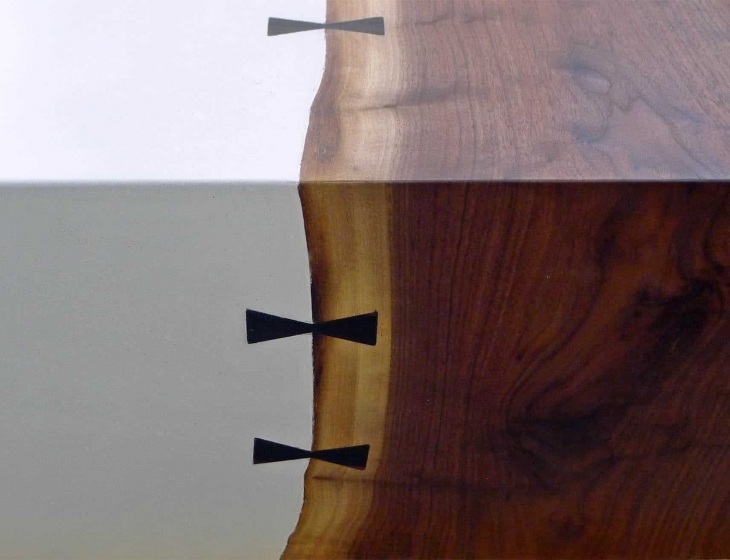 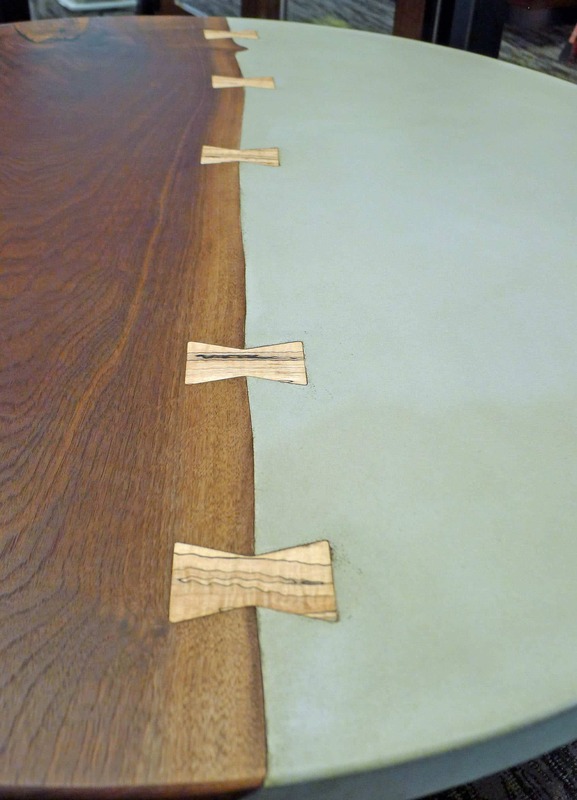 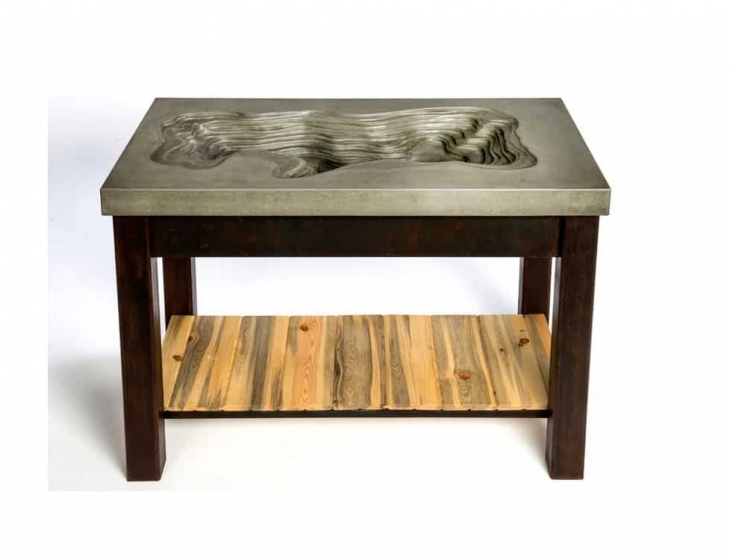 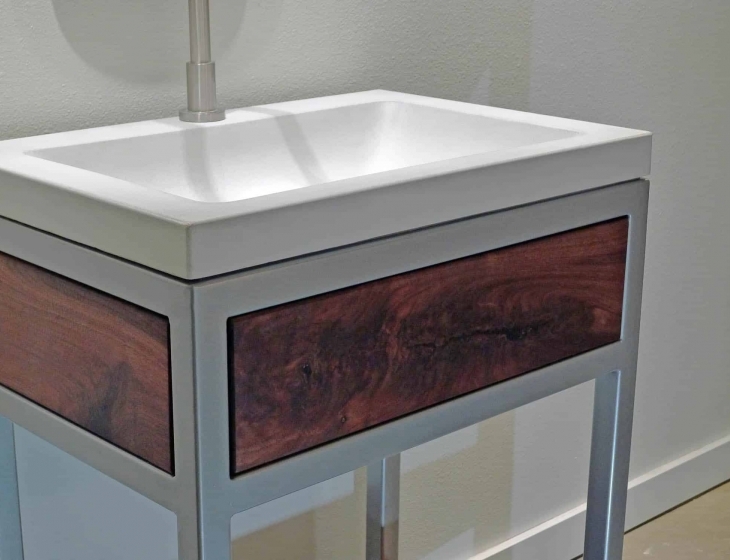 Cast in our popular 8020 grey, the concrete and walnut are connected by highly figured spalted maple butterfly joints. 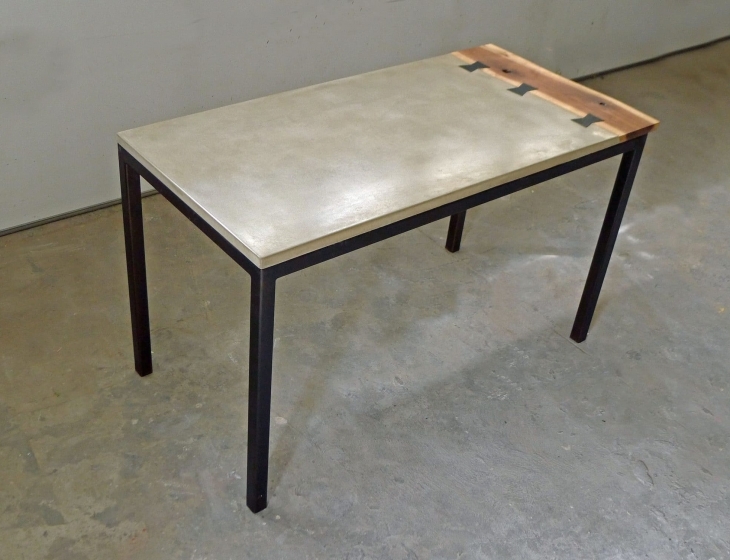 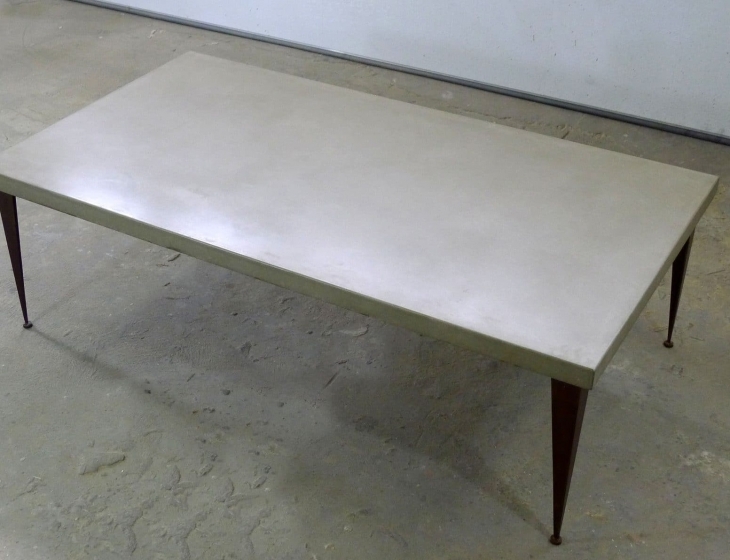 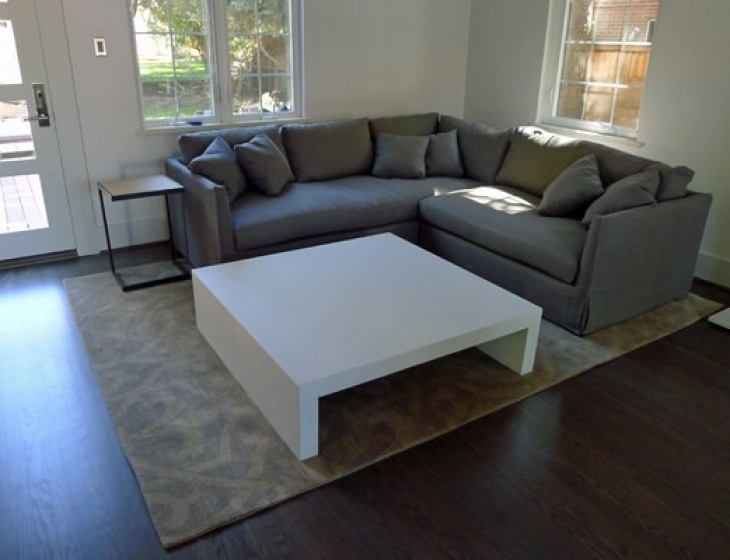 Welded rectangular steel tube makes up the tapered base which is powder-coated ‘bengal silver’.